The United States is attempting highlight the historical nature of an upcoming visit to the Southeast Asian state of Laos by US President Barrack Obama. By doing so, the US hopes perhaps the rhetorical narrative of the visit can compensate for a lack of real political substance. 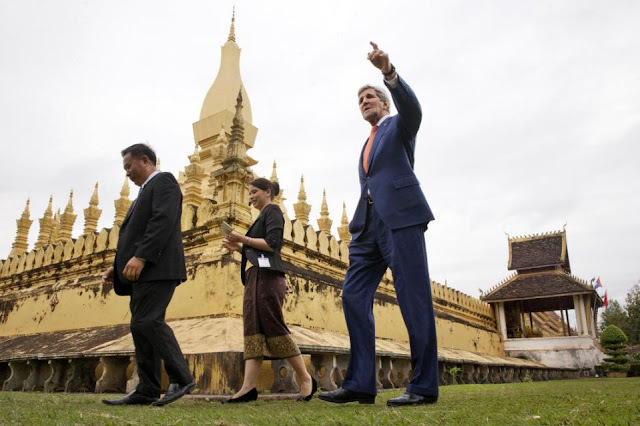 Image: President Obama's visit to Laos is a follow-up of US Secretary of State John Kerry's visit in early 2016. President Obama will travel to China and Laos September 2-9, 2016. This trip will highlight the President’s ongoing commitment to the G-20 as the premier forum for international economic cooperation as well as the U.S. Rebalance to Asia and the Pacific. President Obama will be the first U.S. president to visit Laos, where he will participate in the U.S.-ASEAN Summit and the East Asia Summit. Additionally, he will have bilateral meetings with President Bounnhang Vorachith and other key officials to advance U.S.-Lao cooperation on economic, development, and people-to-people ties, among other areas. The White House statement would also mention President Obama's intentions to participate in the Young Southeast Asian Leaders Initiative (YSEALI) Summit, an indoctrination program with strong parallels to both British and Roman imperial strategies used to "culturally colonize" targeted nations, regions, and peoples. This visit also will support the President’s efforts to expand opportunities for American businesses and workers to sell their products in some of the world’s fastest-growing markets. Central to this effort is the Trans-Pacific Partnership [TPP], the high-standards trade agreement that will unlock key markets to American exports and cement America’s economic leadership in the Asia-Pacific. In other words, the US president's visit to Asia, particularly Laos, is to expand - or perhaps attempt to reassert - US influence and more specifically control over the region. 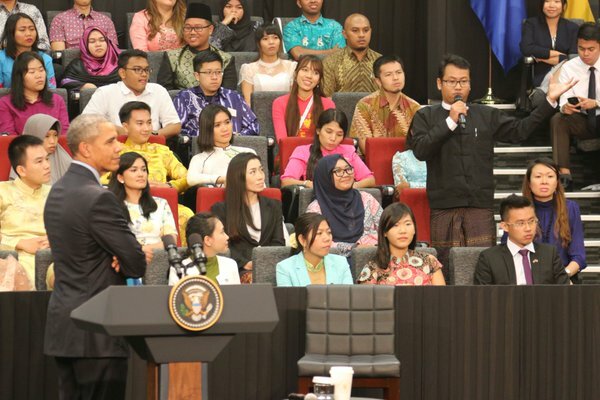 Image: Part of the YSEALI indoctrination process is US President Obama's participation in the summit, giving participants a genuine feeling of being part of America's "club," rather than that of the nations they were born and raised in - a weapon of "soft-power" coercion in America's arsenal. From presiding over the YSEALI summit - indoctrinating and training youth from across Southeast Asia to serve amongst America's vast network of faux-nongovernmental organizations (NGOs) - to pushing the unsolicited and very unpopular TPP trade agreement, the president's visit represents a continuation of America's coercive and disruptive brand of geopolitics standing in stark contrast to China, whom the US finds itself increasingly being pushed out of the region by. Though rarely in the headlines, what is playing out in Laos is a powerful microcosm of a much larger geopolitical struggle unfolding across Asia. 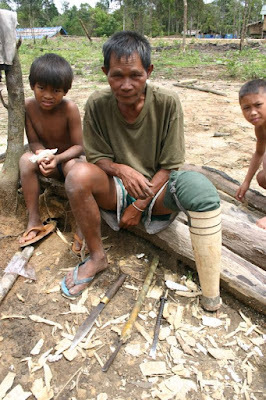 To this day, even as President Obama prepares to visit Laos, nearly 100 Laotians a year are killed or maimed by US ordnance still littering the nation's landscape. In addition to this enduring and unenviable legacy, the US' activities in Laos since the war have been less than constructive to say the least. While China builds railways and roads quite literally from one end of the nation to the other, and while China and its Southeast Asian neighbors help it construct dams to utilize its many rivers and mountainous terrain, the US has constructed instead an army of faux-NGOs dedicated to obstructing these infrastructure projects based on "human rights" and "environmental" concerns. When President Obama and his entourage arrive in Laos, they will see joint Lao-Thai-Sino infrastructure and construction projects punctuating the increasingly modern and well-developed capital city of Vientiane. Chinese and Thai brands also are represented, as is a clear socioeconomic influence from neighboring Vietnam. 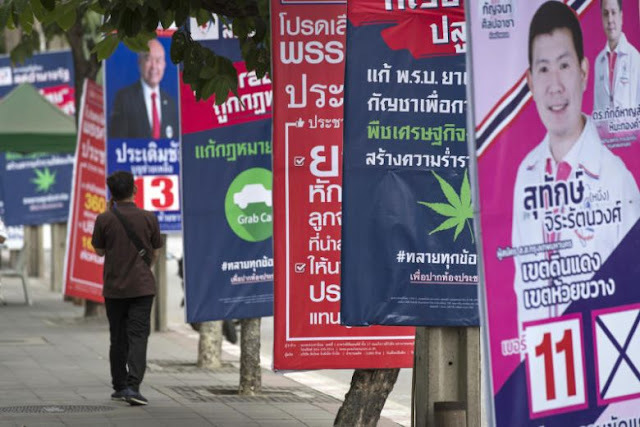 In contrast, President Obama's entourage will also see SUVs with Western-funded NGO logos on their sides, racing around the city, posting up banners encouraging the Laotian people to use less electricity and resources in an effort to reduce demand for modernization and development and the joint infrastructure projects led by China and Thailand to address this demand. Between both China and Thailand's proximity and cultural ties to Laos - with Laotian and Thai languages being closely related and even discernible by both peoples - as well as their substantive and tangible contributions to Laos' development as a modern nation-state, the United States' policy of asserting geopolitical primacy over Asia, including Loas, its people, and its resources stand little chance of attracting widespread support from leadership in Vientiane. 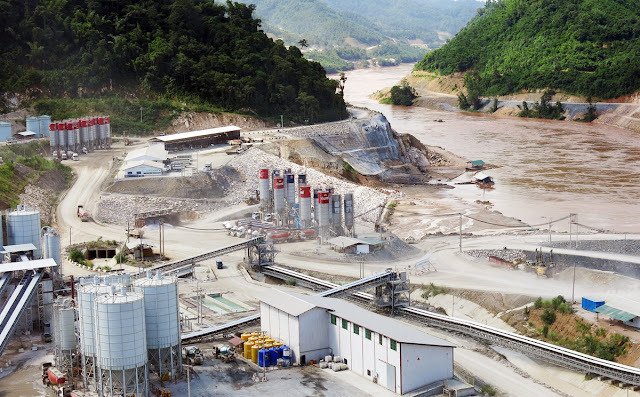 Image: China is building dams to produce energy, jobs, and development in Laos, while the US invests in faux-NGOs opposed to all forms of local, tangible development in favor of compromising "free trade agreements" like the TPP and military cooperation aimed at stoking costly regional conflict, not preventing it. However, what the US lacks in geopolitical substance, it can make up for with "soft power" geopolitical coercion. Part of the responsibilities of faux-NGOs operating within Laos is to apply pressure on the government to make unsound policy decisions favoring US interests at the expense of both Laos' and Asia's regionally. President Obama's participation in the YSEALI summit is part of this - indoctrinating young Asians, including those from Laos - to integrate themselves into the networks and institutions serving Western interests rather than those of Laos and Asia. Upon completion of the YSEALI's programs, these young people will find themselves as part of America's growing networks across Asia, opposing development in Laos, hampering constructive ties with Laos' neighbors, and instead, favoring and promoting policies including the implementation of the TPP, "open markets," US-ASEAN military integration, and other compromising policies that serve Washington's interests at the expense of Laos, its sovereignty, development, and its future. As awareness grows regarding the true nature of US "soft power" and the role it plays in coercing nations behind the scenes, its effectiveness will likely wane. With no alternatives able to compete with the current level of investment and engagement Laos' immediate regional neighbors have committed, the US faces the prospect of its "primacy" in Asia being further undermined. Then again, for a North American nation to declare "primacy" over Asia to begin with is somewhat problematic and an issue the whole of Asia needs to address more openly and directly.